This prefabricated house may be small in dimensions, but it definitely boasts a lot of character. It's wide lawn offers a spacious area for the whole family and may even provide the access to easy extensions in the future. The open layout can let the homeowner plan for more appealing home upgrades such as a garden, a pond or pool, a back patio, or even another prefabricated structure! Precisely designed, the sections used in this prefab home are built with strong materials for a sturdy assembly. These sections of structures include thick wooden walls that vary in sizes, concrete segments and pieces, laminated tiles, and a dark grey hipped roof. 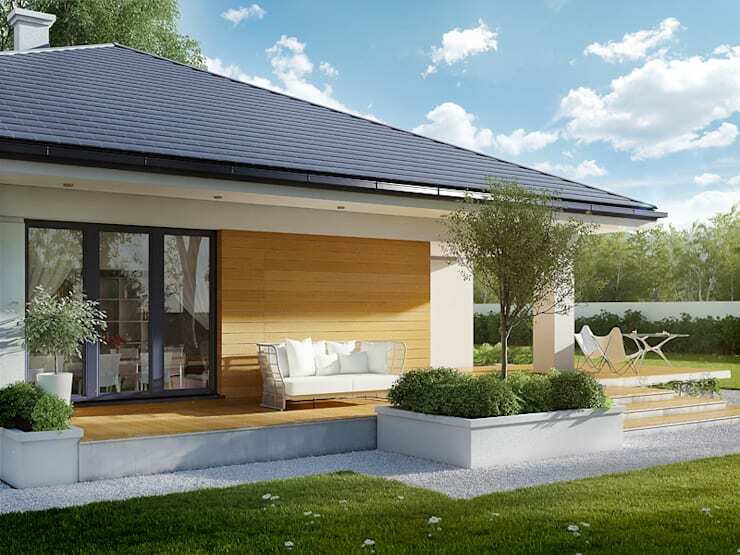 Assemble them all together and you got yourself a ravishing prefab home. 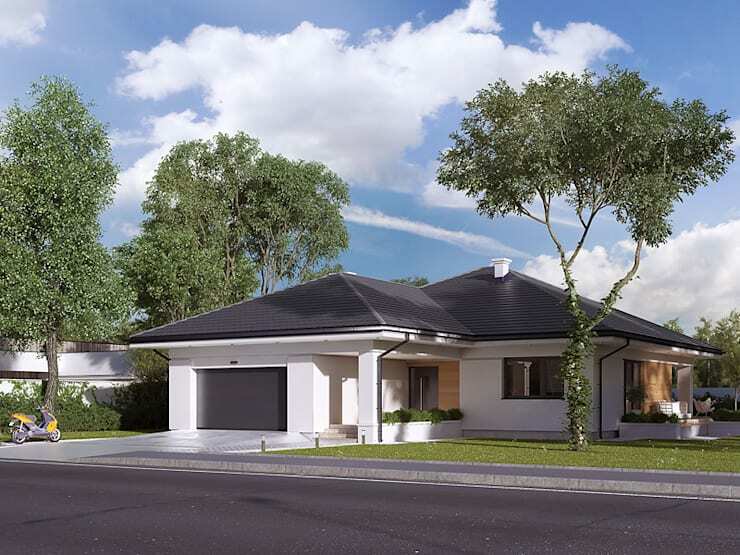 This prefab home not only boasts its amazing exterior architecture, but also its chic and modern interior design. 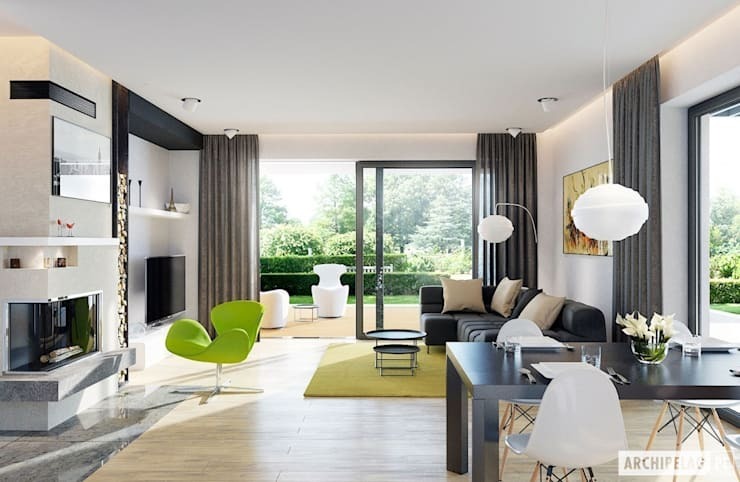 The classy interiors features a contemporary approach to modern designing where blacks, greys, and whites are accented with small pops of bright lime. The lines shown in the interiors are flawless and the smooth finishes to the furniture are just posh. Since this prefab house features a leveled deck, a relaxing outdoor bench is best suited to provide a leisure time for the family. Enjoy the warm touches of the sunlight and the relatively cool breeze with this peaceful spot right outside the glass sliding door. Here's the layout plan we promised you! 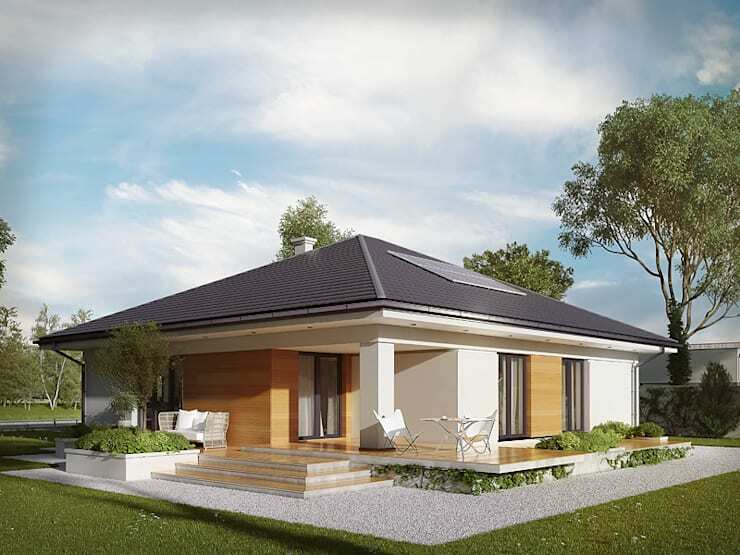 This prefabricated house provides an extensive open layout offering spacious areas for the bedrooms and public spaces. Featured in the layout is a master bedroom with its own bathroom, as well as two regular bedrooms potentially for the kids or for guests. 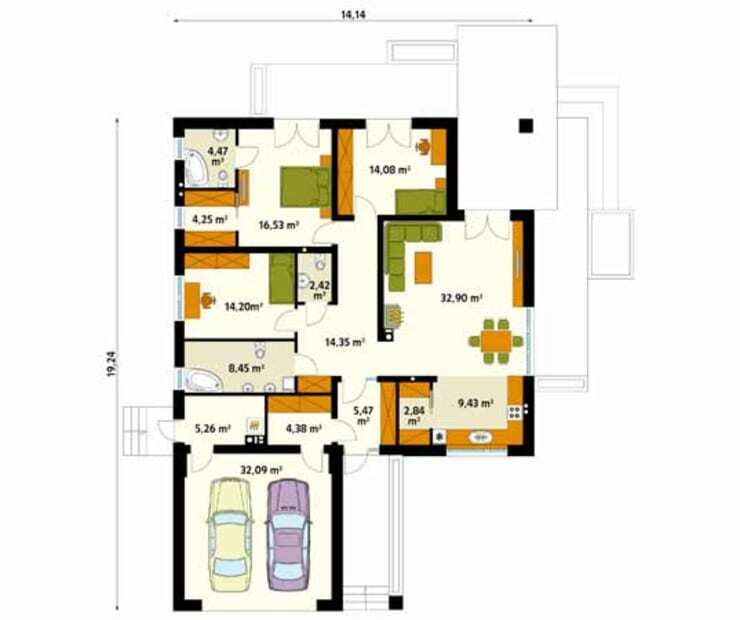 It also offers a seamless flow of spaces with the living room, dining room, and the massive kitchen area. Plus, a double garage is showcased to provide enough room for two cars or even an extra space for supplies and materials. Loving this prefabricated house? You'll also love this ideabook -- A low-cost prefabricated home you can build in the Philippines. Read along!